Pi π is one of the most popular mathematic constants which means a ratio of a circle perimeter to its diameter. Apart from school you can see this sign all over the internet. Facebook posts, mathematics guides on Youtube, your friends tweets and more. I'll show you how to input it by using different techniques depending on your Operating System and tastes. The number π is a mathematical constant that is the ratio of a circle's circumference to its diameter. 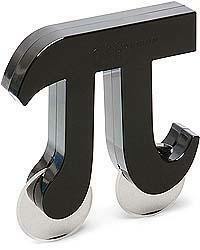 It has been represented by the Greek letter "π" since the mid-18th century. π is an irrational number, which means that it cannot be expressed exactly as a ratio of two integers; consequently, its decimal representation never ends and never repeats. Moreover, π is a transcendental number – a number that is not the root of any nonzero polynomial having rational coefficients. The transcendence of π implies that it is impossible to solve the ancient challenge of squaring the circle with a compass and straight-edge. Read Wikipedia article on pi symbol to find out more about its meaning. Shortcut technique that works on Desktops and most Laptops running MS Windows. You press Alt and, while holding it, type a code on Num Pad while it's turned on. Please, read a guide if you're running a laptop. You can type many frequently used symbols with this method. Configure your keyboard layout in Windows so that you can type all additional symbols you want as easy as any other text. Takes about 5-10 minutes to set things up, but you'll be typing like a boss. You can assign pi symbol π and any other text characters to your keyboard using this technique. CharMap allows you to view and use all characters and symbols available in all fonts (some examples of fonts are "Arial", "Times New Roman", "Webdings") installed on your computer. You can input pi symbol using it. You can make frequently used technical non-fancy symbols like "√ ∑ π ∞ ∆ ™ © æ £ ¢" and åccénted letters on Mac using [Option] key. 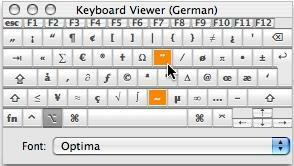 I've compiled a list of shortcuts in my article and explained how to open keyboard viewer. You can also use your Keyboard Viewer as an alternative to my list. 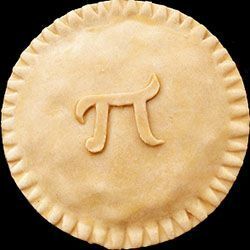 [Option] + [p] produces π pi sign. Character Palette allows you to view and use all characters and symbols, including pi, available in all fonts (some examples of fonts are "Arial", "Times New Roman", "Webdings") installed on your computer. There actually are 3 different ways to type symbols on Linux with a keyboard. And all of them can produce pi text symbol.